Welcome to a blog that's been in the making since the start of the year. Way back in Jan I made the decision to look for something fitness related that I would stick too. I never in a million years dreamt that I would find something I loved from the first lesson and and am now going to twice a week. 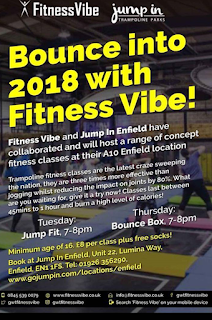 I came across an advert on Facebook for Jump Fit classes being held at my local trampoline park here in Enfield and went along to try the class out. I've always backed away from anything I found intimidating especially when it's come to fitness but found soon into the class that I was really enjoying it and bought a pass for more classes at the end. Everyone I've met from these classes has been so welcoming. We all work together to help each other and each class is always a great laugh as well. I stayed with the Tuesday Jump Fit classes which have been great for building up my fitness again each week I try and push a bit harder. This class was great to start off being low impact it is for all levels of fitness. 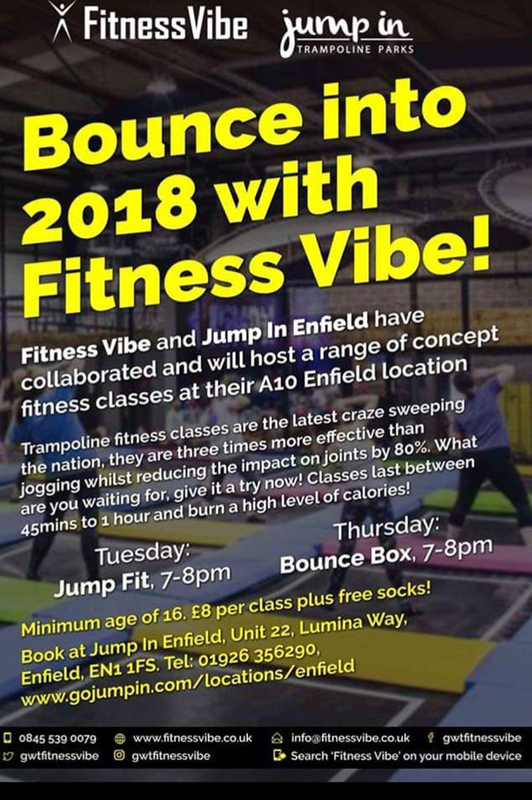 For the first few weeks after the aches and complaints from my body I thought this would have put me off but it didn't and during April I decided to give Bounce Box a go on a Thursday. 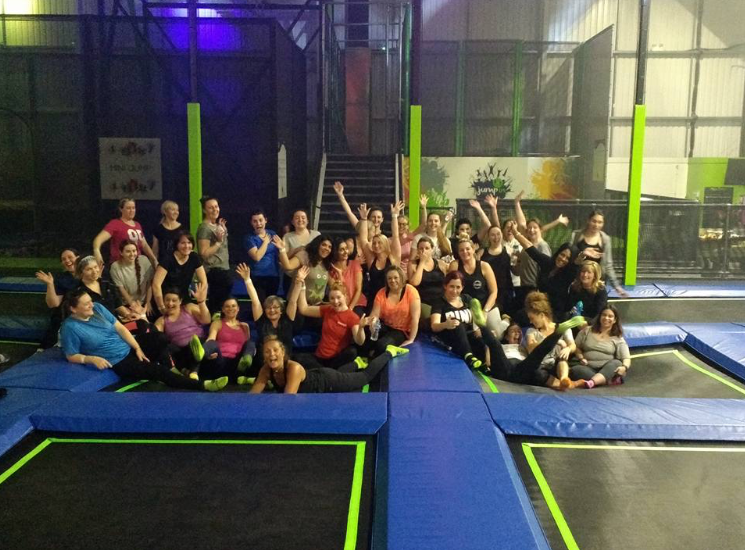 Bounce Box was a completely different level to try and its been great to have a variation of the classes. I've found myself booking a few weeks in advance to make sure I stick to this. On a personal level I've had a lot of things thrown at me and have come to look at these classes as more than just fitness as they have really helped me get out of my head when I've needed to. 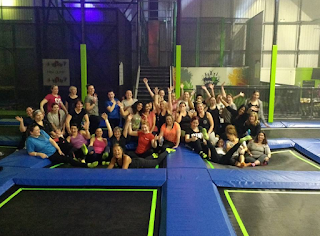 I got back from holiday this week and despite everything that could have been thrown at me in the 48 hours I was back I did question if an early night was the best thing but made myself go to Bounce Box and actually felt so much better after. It takes a lot to find something you enjoy and actually want to stick to especially when it comes to fitness. I have to say a massive thank you to Akilé and also Vicky for helping us push that little bit further each week. Its great when you see the results, if you haven't checked it out pop over to Jump In Enfield and book in for a session I promise you it's totally worth it. Also check out the rest of what the Fitness Vibe team have on offer over on the Fitness Vibe Website . Thanks for reading, what have you been up to fitness wise this year drop a comment below.